This latest, more economical version of this speaker is a delightfully small speaker with a big sound. I build these beautiful speakers to be the best system possible. The cabinets are strong, dense, and braced for stiffness. 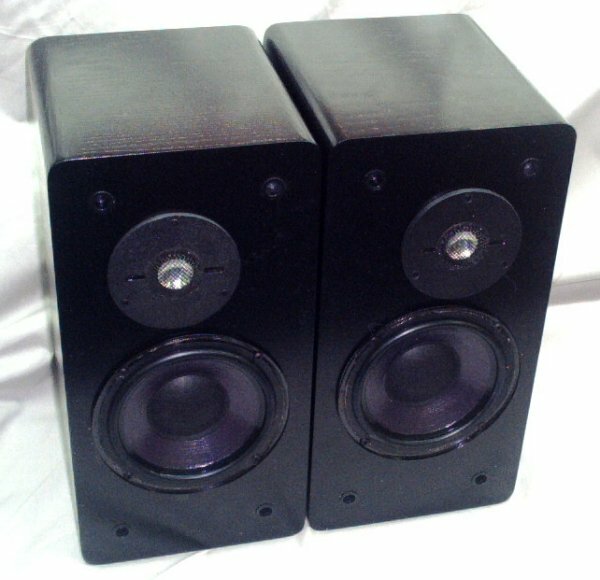 Combined with my hand made drivers and a carefully designed crossover, the result is a wonderfully sweet and linear "mini-monitor" type loudspeaker. This model, like most I build, uses my own hand-made proprietary parts. 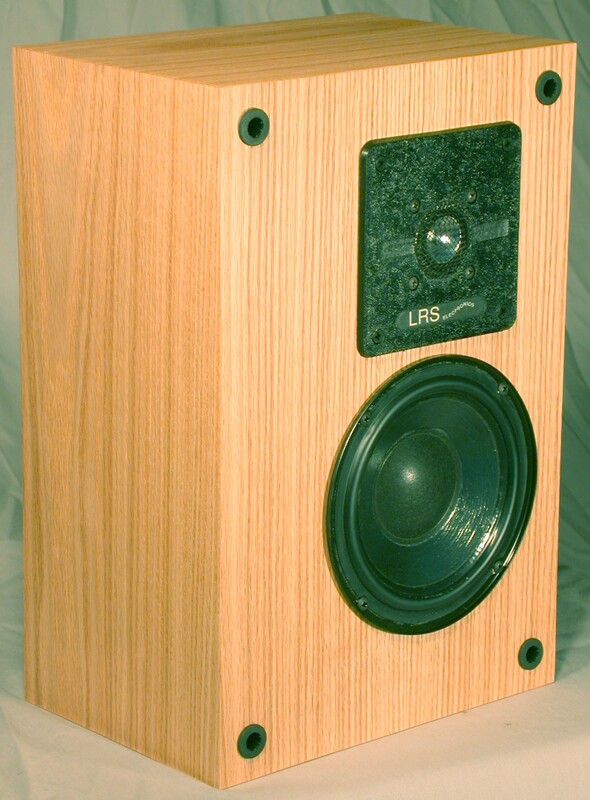 The specially-designed six-inch woofer yields tremendous bass for such a small enclosure without the "boomy" coloration often encountered in smaller speakers. It combines high power handling with low distortion. The aluminum concave dome tweeter has been praised by many, including long time loudspeaker industry veteran designers and salespeople. The crossover network is built using carefully chosen audiophile grade capacitors and heavy gauge internal wiring that I had custom made. The input terminals are gold plated, five way binding posts for maximum sound quality. The cabinet is currently offered in an attractive black ash vinyl finish with a black grill. The dimensions of the box have been fine tuned to work perfectly with the woofer, and to minimize multiplication of standing wave effects. 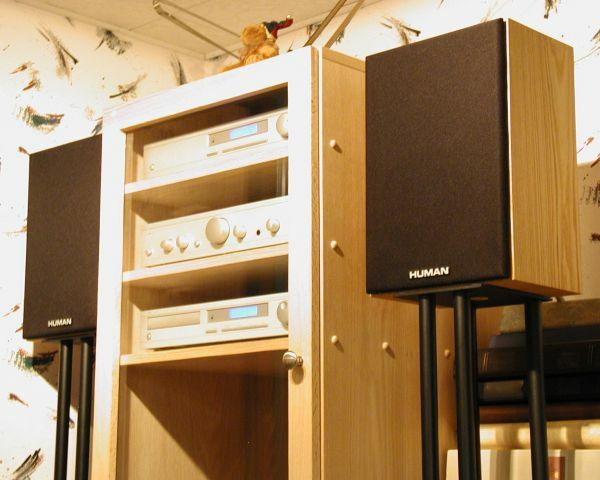 The rear-mounted vent extends the low frequency response beautifully into the high 30 Hz range. Each pair is built symmetrically, with the tweeters placed off-center to reduce coloration due to cabinet edge reflections. It is an ideal speaker for the discriminating music lover for whom space is an important consideration. You will not find a better product to provide uncompromised sound in a small package. As surround speakers in a home theater system, their high power handling and linear response makes them ideal for the demanding listener. 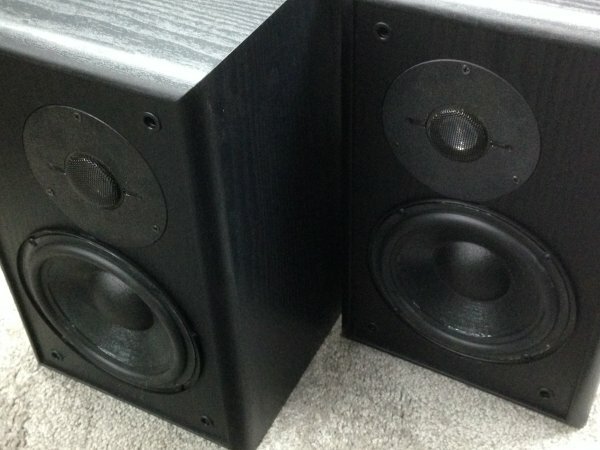 Their linear output and lack of coloration perfectly complements the larger speakers I make. My drivers are rugged and purist, and designed to complement each other's range and clarity. The six-inch woofer, in this cabinet, is flat from about 38 Hz to 1800 Hz, where the one inch concave aluminum dome tweeter takes over (most tweeters couldn't handle a crossover this low) and finishes the job out to 26 kHz, beyond human hearing. The minimalist crossover design prevents stored energy from smearing the musical detail and provides excellent transient response. 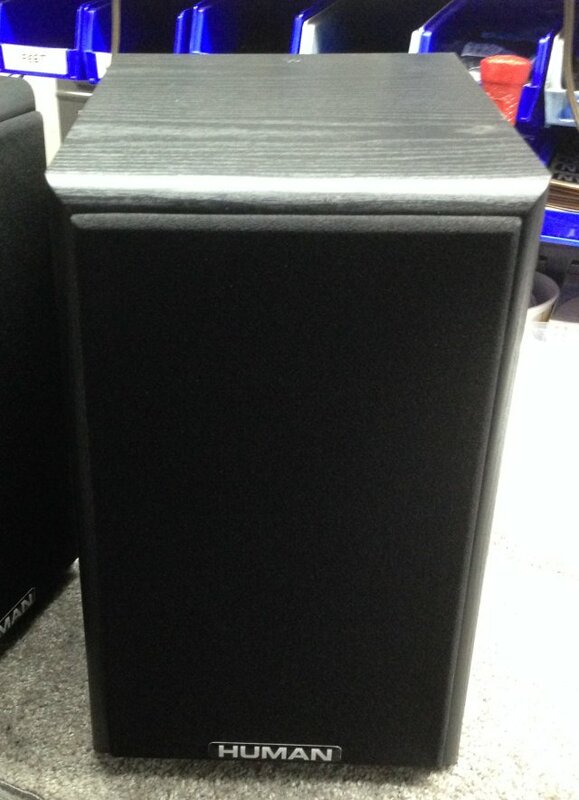 The carefully tuned (rear-vented cabinet) design provides for clean, tight undistorted low bass extension. I was building a small speaker to put in my bedroom back in 1989 and I used two cabinets I had received as samples. I knew I was going to use my aluminum dome tweeter. 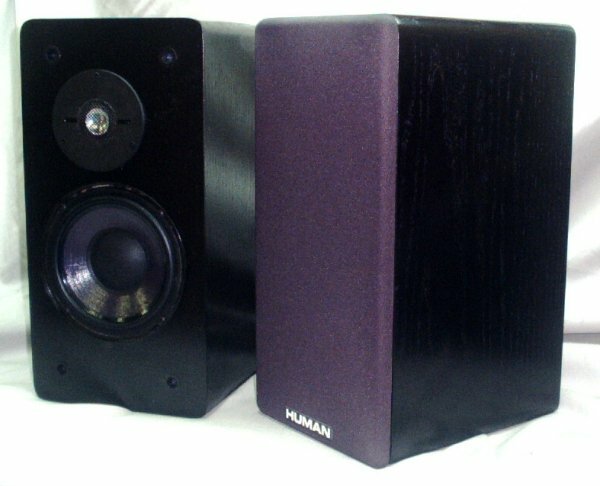 I decided to use my own handmade PRO 007 woofer in them since it is such a fine unit. The first day, I can't really tell how a speakers sounds, partly because the person who builds a speaker just can't be objective at first, and partly because the drivers and the crossover components have to break in a little before they stabilize. So I just detune my FM receiver in the factory and play the speakers at a moderate level all night on interstation hiss. This will break in the suspensions of the woofers, distribute the Ferrofluid in the tweeters, and depolarize the dielectric materials in the crossover capacitors. So in the morning (ok, the early afternoon) I get to find out how bad of a job I've actually done of getting a design started. Well, with these I was a little taken aback! They actually sounded quite happy already. Over the next couple of days I played a fairly wide variety of music through them. They were sweet and strong on classical, supple and enigmatic on jazz, revealing yet not ruthless on rock, etc..
Now usually when I build something like this, I am lucky if it even works. Most of my speakers are the result of painstaking trial and error, a lot of guessing and calculating, and a fair amount of suffering. The early versions sound miserable and I spend a lot of time refining them. Not so with this speaker! I guess some serendipitous combination had been activated by my lucky estimations and borrowings. I still get a thrill when I build a pair for a customer, because the next day, after the overnight break-in period, I get to look at them and listen to them for a few hours before I pack them up. 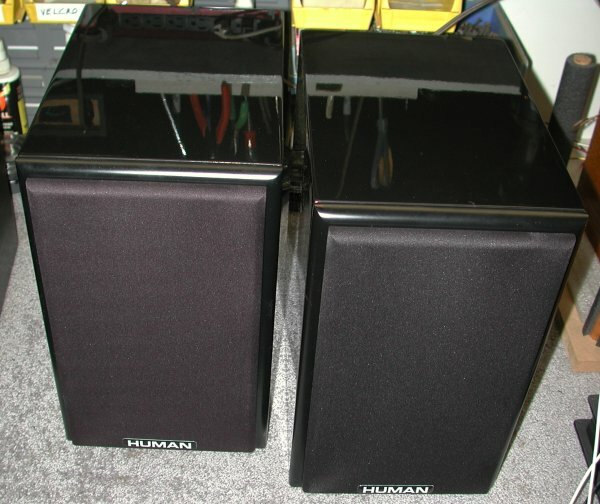 They are nimble, accurate, and in spite of their small size, they generate a clear, concise bass response. 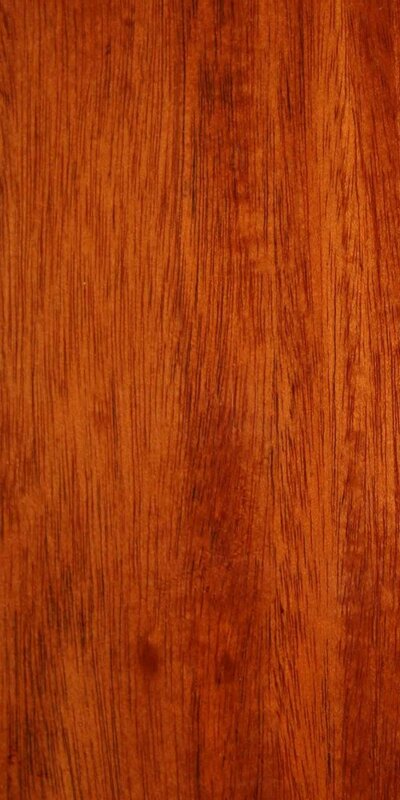 Below are older versions I made using rather expensive wood veneer and other finishes for the cabinets.